Drill comes in handy for the belt. A Groom, his cat, an iPad, putting on the tie. Dad making sure all is good. Always time to enjoy a beer. 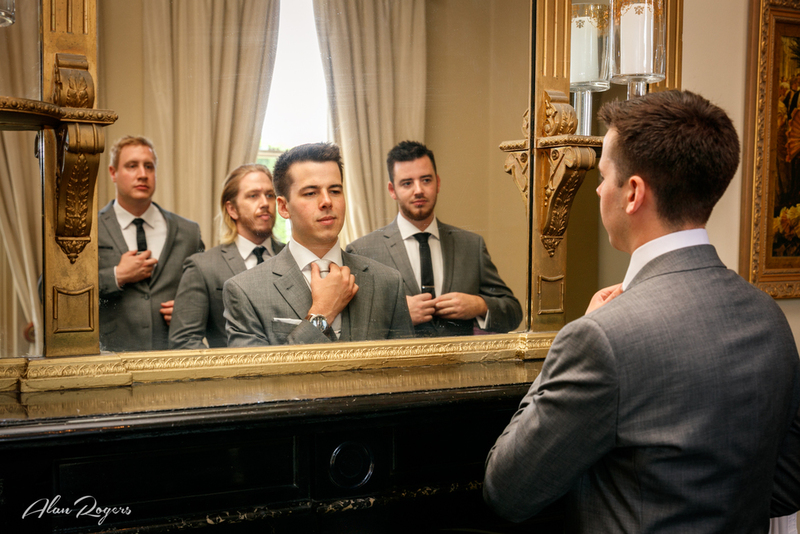 The groom and his groomsmen need to get ready for the big day too. This is always a fun time, and there tends to be a lot of relaxing, joking and playing around. Usually plenty of drink and food on hand. Often though the guys are not good with timing, and leave all the important stuff to the very last minutes when it then becomes a big rush to put on suits, and get to the ceremony before the bride. Groomsmen take time out for a Selfie. In the backyard, last minute straightening before heading off to the Church.